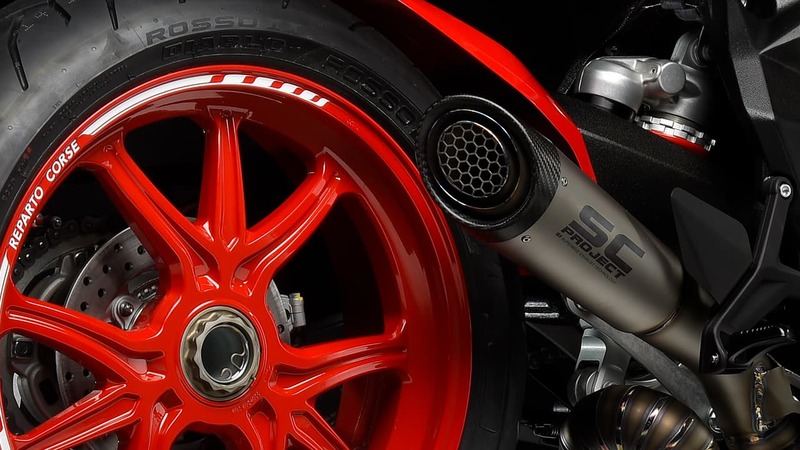 A special livery, SC-Project exhaust with a dedicated ECU control unit and the forged aluminum wheels are the finishing touches given to the Dragster 800 RC by the MV Agusta Reparto Corse engineers. Even in this version, the Dragster remains true to itself and is immediately recognisable. 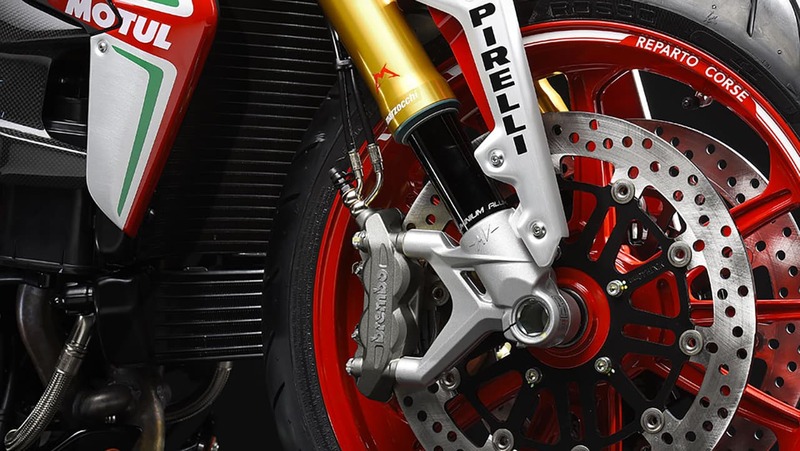 The cut tail, the aggressive handlebars and the huge rear wheel are packaged in an exclusive livery enhanced by the all front fork’s dedicated colour. 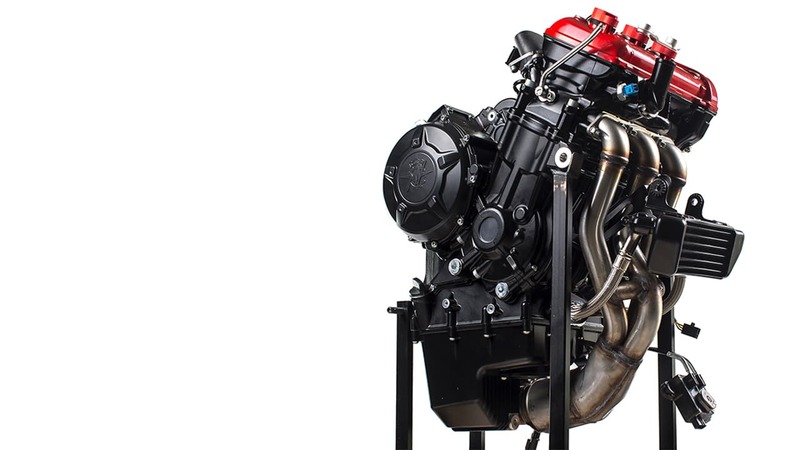 The weight distribution, the refined chassis and suspension as well as the Dragster’s unique character are the main features of a machine that was created for the most demanding enthusiasts. 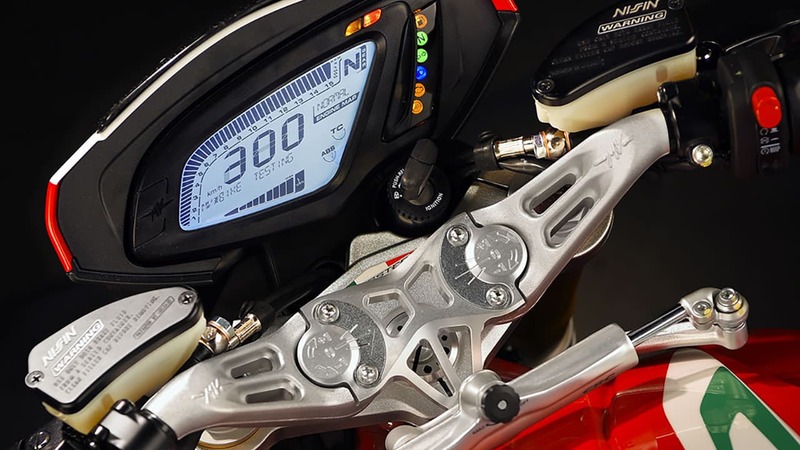 The engine’s stunning performance, as well as its precision, further enhance the riding pleasure. An exhilarating experience, and the perfect combination of form and substance in this quintessential motorcycle. 87 Nm (8.87 kgm) at 10.100 r.p.m.